In front of the home crowd at the Yonkers Police Athletic League, Brawl took an early lead but the Heartbreakers battled back. At halftime, Brawl had a slim 30 point advantage. A strong second half from Brawl steadily widened its lead. The final score was 198-124. 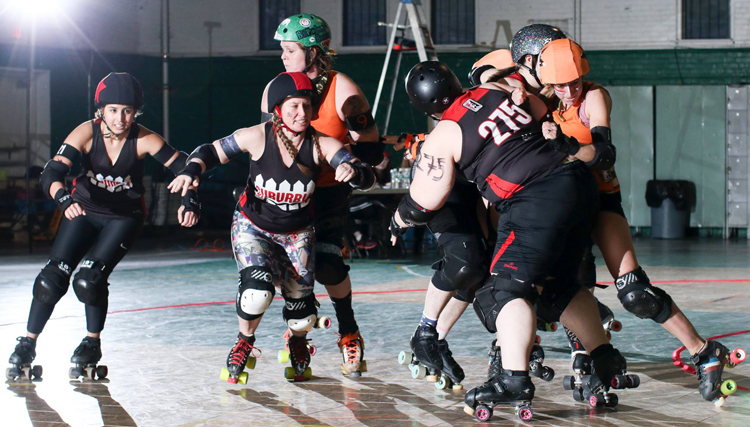 Hellbillies’ MVPs were Linda McMayhem (blocker) and Dali D (jammer) and Brawl’s MVPs were Partygirl Accelerator (blocker) and Loraine Acid (jammer), one of Brawl’s newest skaters. Want to see more? Take a look at photos from our own David Dyte and Greg Paret and Enchanted Mountain’s Myowndsign. 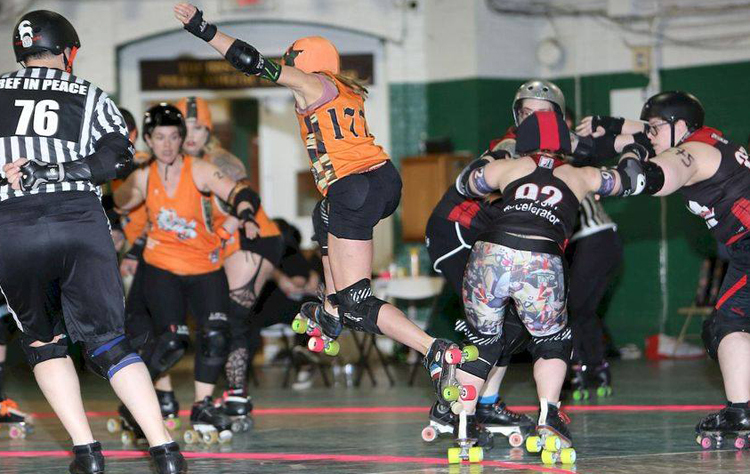 Brawl next faces New Hampshire Roller Derby’s All-Stars on May 4 in New Hampshire. 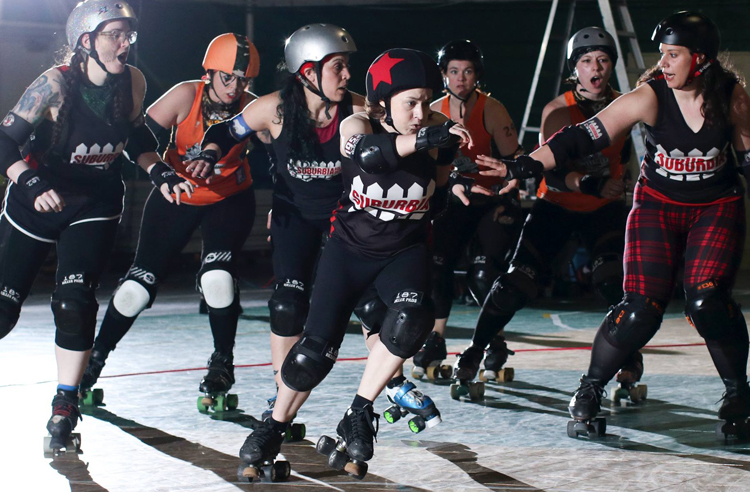 Our next home bout is the Backyard Bullies against Long Island Roller Rebels’ Rock-A-Betty Bruisers on May 11. See you there!